What a busy month it has been! 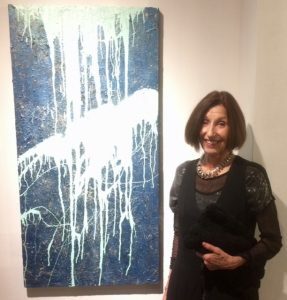 I have had three opening receptions: one for my solo exhibition and two for group exhibitions. 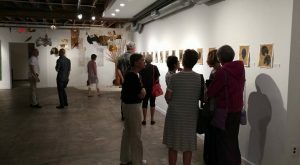 Rose Marie Prins: Sanctuary, East & West at Studio@620 opened during the Second Saturday ArtWalk on May 13, with an informal artist’s talk. The work I did at the Sanskriti Kendra, an artist retreat near New Delhi in 2016/17, is included. 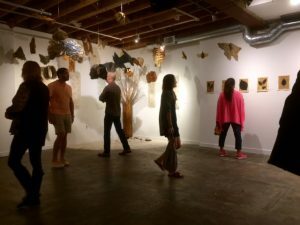 The closing reception will be Friday, May 27, 6-9pm, and the exhibition will be up through Tuesday, May 30, with an artist’s talk at 11:30am Tuesday. 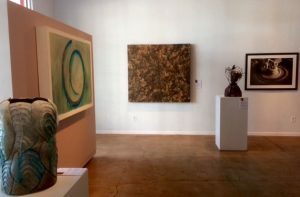 The Morean Arts Center‘s exhibition 100 Years/100 Artists, where my piece Sentipensante is on display in impressive company, also opened during May’s ArtWalk. 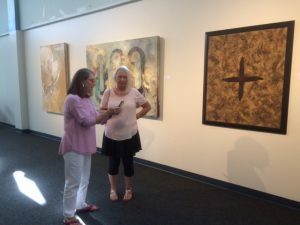 The exhibition will be up through June 25. 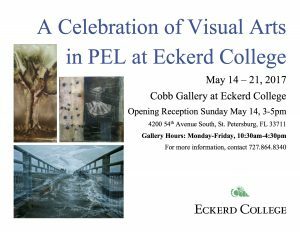 My work was also included in an exhibition in celebration of forty years of visual arts in Eckerd College’s Program for Experienced Learners, a one week group show of work by faculty and alumnae honoring the ending of the esteemed PEL program. 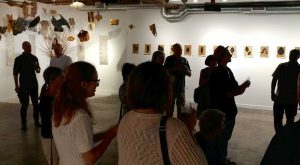 The exhibition was a bittersweet experience: we, the faculty, are sad to witness the program’s demise. 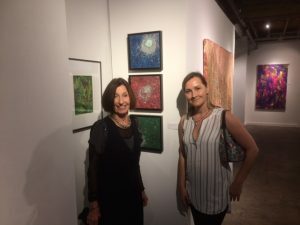 As a recipient of Creative Pinellas’ Individual Artist grant, I was interviewed by Barbara St. Clair about my work and travels to India. Listen to the Arts In podcast. 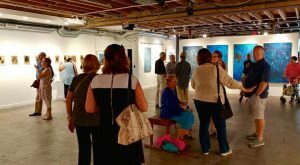 Tuesday evening class schedule at the Morean Arts Center, 3 or 6 classes, June 5 – July 16, 7-9:30pm. Sign up online or by calling 727-822-7872. 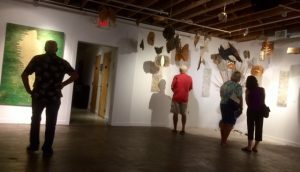 Friday morning class schedule at the Morean Arts Center and my North St. Petersburg Studio, 3 or 6 classes, 9:30am – noon. 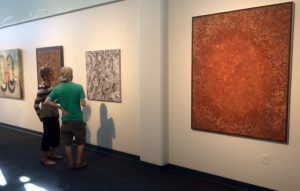 June 8 through June 30, we meet at the Morean. 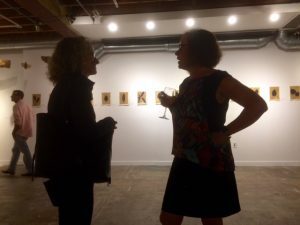 July 7 and 14, and August 4 and 11, we meet at my studio. August 18 through September 8, we’re back at the Morean. Normal scheduling resumes at the Morean Arts Center in the Fall. Classes at my studio cost the same as at the Morean. Make payment directly to me. 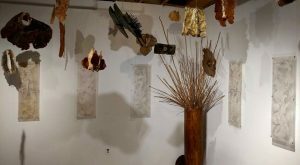 My studio will be the location for my Mixed Media Workshop in the Autumn. Stay posted.